Betsy Corwin (right) studies the biological mechanisms behind postpartum depression and fatigue. 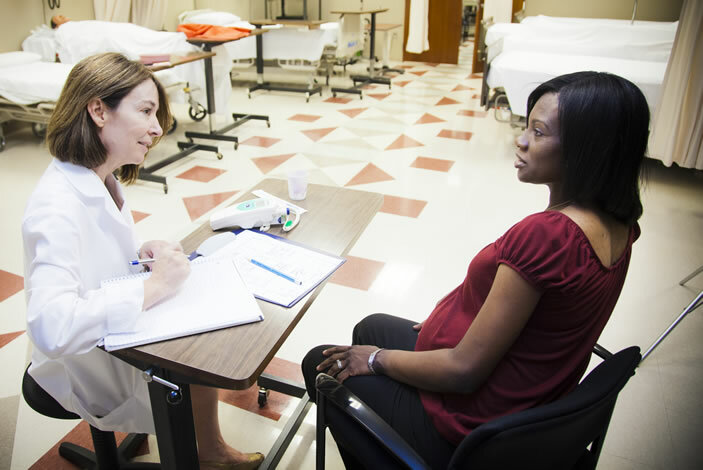 Betsy Corwin is in the midst of collecting data for a five-year NIH study of post-partum depression. Betsy Corwin leads the Office of Nursing Research to help faculty and students enhance and expand their scientific studies. 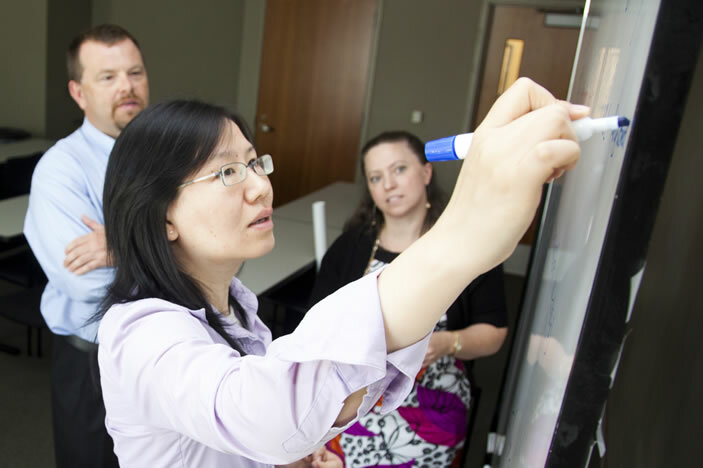 Ying Guo, Bryan Williams, and Melinda Higgins lead the Methodology and Biostatistics Core to assist faculty and students with research design and data analysis. 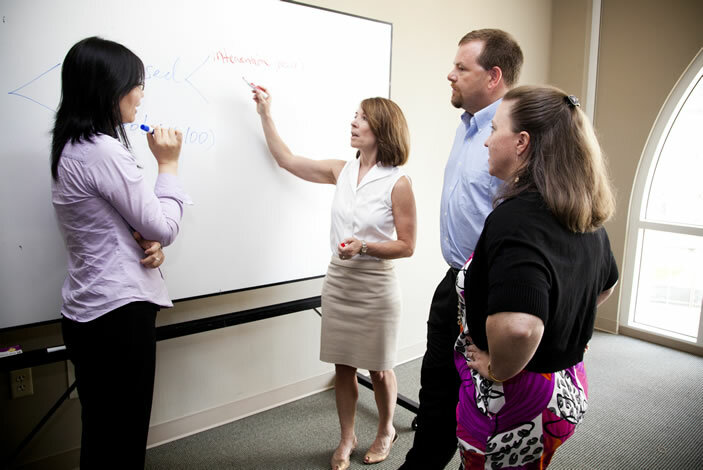 During the past year, the number of people in the Office of Nursing Research has jumped from four to seven to strengthen and streamline the research process. The Nell Hodgson Woodruff School of Nursing is home to one of the nation's top nursing research enterprises. Betsy Corwin remembers the home visits with two new mothers clearly. One of the women had just had her second child, was newly divorced, and had a hole in her kitchen ceiling. Her first child, a 6-year-old girl, had autism. Despite her circumstances, "The mom was so happy to be a mother again," says Corwin, associate dean for research at the School of Nursing. The next day, she visited another woman who had a healthy, two-week-old baby boy, a lovely home, and a supportive family. Yet she was depressed. "Neither of the women had a history of depression," says Corwin, who collected data on new mothers while serving on the nursing faculty at Pennsylvania State University. "The one mother was just stunned that she was depressed, while the other mother had a positive outlook in the face of adversity. That started me thinking more about why." As a nurse scientist grounded in physiology, Corwin seeks to understand the biological factors behind postpartum depression. "It's hard for care providers to make a difference when new mothers have an unsupportive partner or they are worried about finances. Those things are difficult to address. 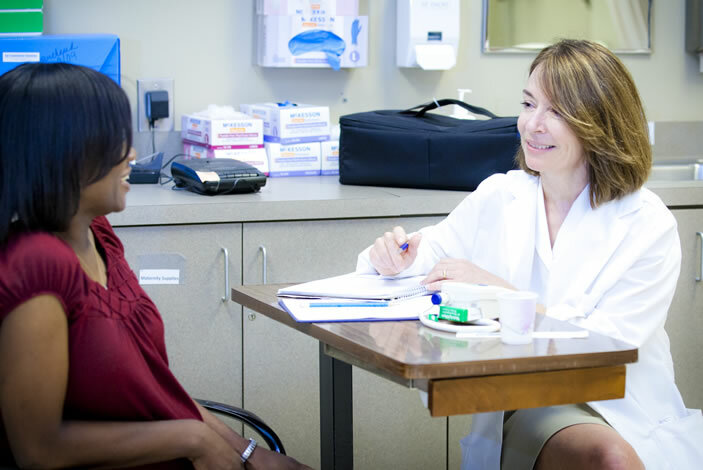 But if we can identify an underlying biological mechanism such as infection, tissue injury, or anxiety-caused stressors where we can intervene—that's where we can really make a difference in treating this group of women." 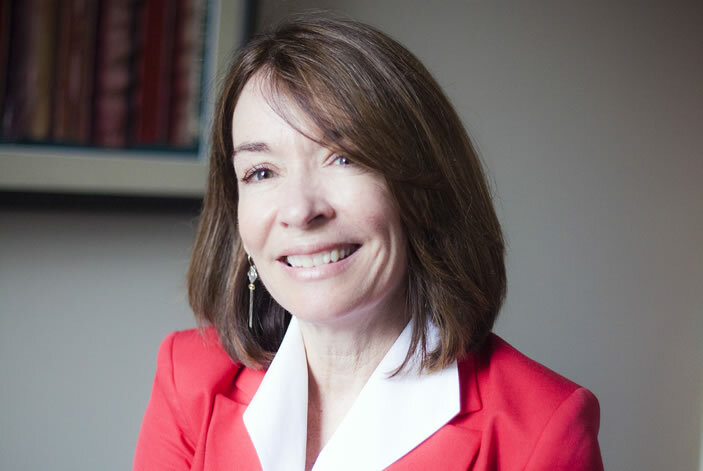 Corwin is poised to do that at the School of Nursing, both as the principal investigator of a major study funded by the National Institutes of Health (NIH) to examine the psychoneuroimmune contributors to postpartum depression and as a strategic leader in nursing research. The study is a continuation of her longstanding interest in maternal health, first as a physiologist using animal models to study hypertension in pregnant women and later as a clinician who became a family nurse practitioner mid-career while teaching at the University of New Mexico. Her current research builds on her earlier studies of the biological contributors to postpartum fatigue, done in collaboration with Linda Pugh PhD RNC FAAN, then a Johns Hopkins nursing researcher. In this work, Corwin's research team surveyed mothers for fatigue 48 hours after birth and then at one week, two weeks, and a month, each time collecting data on fatigue and samples of blood, saliva, and urine to measure immune markers and cortisol. A graduate student then suggested surveying depression at one month. The results from their survey were clear: 93 percent of women who reported they were fatigued at two weeks postpartum went on to develop symptoms of depression at one month. "That heightened our awareness about the underlying causes of postpartum depression," Corwin says. Today, she is in the midst of collecting data for her five-year NIH study. As an add-on to the study, researchers are looking at the relationship between inflammation, postpartum depression, and pain. "We're exploring to see whether adequately treating women's pain early on will reduce the likelihood of depression," she says. Corwin is part of a cadre of nurses and non-nurses who have joined the School of Nursing in recent years to expand interdisciplinary research in a dozen areas, including Alzheimer's disease, cancer, cardiovascular disease, evidence-based practice, sleep disorders, maternal and child health, HIV/AIDS, and mental health.